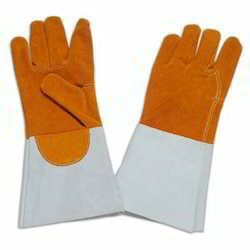 To be a large manufacturing group of hand gloves we are offering wide range of Heat Resistant Glove combining a lot quality parameters. In the next part we are giving a brief detail of all the products. At present we are making seven products. Our product range is stitched using advanced technical machines and equipment and is available in various sizes, colors and designs as per the client specifications. 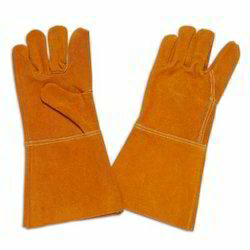 Heat Resistant Split Leather Palm Glove product is somehow similar to heat resistant gloves in terms of working. High quality lather are resisting temperature to a large extend. Beside that we are also offering an acceptable thickness range in this product. 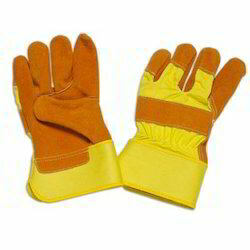 Leather Split Heat Resistant Gloves are a finest version of hand gloves resisting heat in a specified way. They are made by high quality leather combining a lot of color variations. These are highly washable and rough and tough. 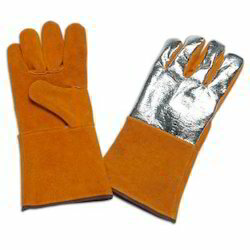 Leather Heat Resistant Glove is a lather product is resistant to heat to a large extent. Mainly we are focusing on brown color but apart from that we are offering some other desirable colors in this arena. We are engaged ourselves in the accomplishment and marketing wide gamut of Leather Heat Resistant Glove. They are nothing but a kind of gloves resisting heat in the use point of view. High quality leathers been incorporating in the manufacture of the same. 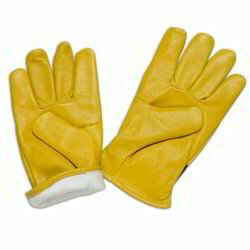 Being the leading service provider, we are offering our customers a wide range of Beige Grain Glove. 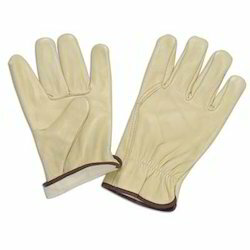 Our Beige Grain Glove are highly acclaimed for their superior quality and longer life. 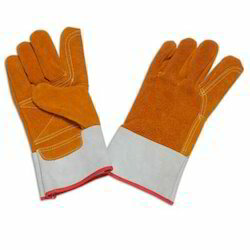 We have expanded our hand in the manufacture of heat protective Grain Heat Resistant Gloves. These are flexible enough to the user in different point of view. Apart from the useability and heat resistance the same types of gloves has been fabricated by high quality fiber grains with insulation from the inside. We have extended our manufacturing hand with some temperature opposing products and Heat Resistant Split Leather Palm Glove is a name in this battlefield.Beside the high quality lather we are also giving a huge range of colors in this product.